Habemus Papam! 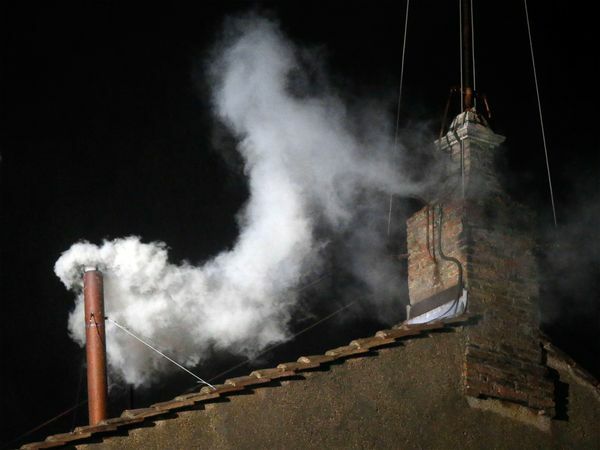 Now we can finally find out what the Vatican uses to make the conclave smoke black or white. DNA does more than make great blueprints for life. It might also make a great flame retardant for clothing and fabrics. One downside: they’d have to be dry clean only. Bring extinct animals and plants back from the dead? That’s the topic of today’s TEDxDeExtinction conference in Washington, DC. Catch the livestream here. I think it’s pretty safe to say that most people hate the whole spring forward-fall back daylight savings thing. And that makes sense, because we’re not biologically programmed for it. Cicadas like to keep their wings clean of bacteria. They’re favorite method? Nanoscale knives. We’re not the only creatures to get a jolt from caffeine. Bees can get a memory boost from caffeinated nectar, like the kind made by coffee and citrus plants. It’s alive!! Or at least it could have been: Mars’s environment was once friendly to life. This weekend kicks off roller derby season in Boston. And just in time, we learn how contact during bouts can mix players’ bacteria together. Two weeks ago it was a baby reportedly cured of HIV. Now there might be another 14 adults, too. 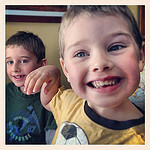 A belated Happy Pi Day to you all. ← Like coffee and chocolate? Thank the alkaloids. Tom, I think that I like this “small plate” idea. MAybe you could add an email link/combiner feature to point folks to these? Thanks, but I’m not sure I know what kind of feature you mean…can you explain or point me to an example?